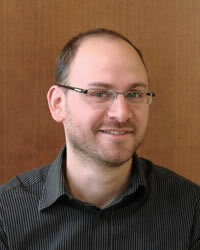 Antoine Bilodeau is an Associate Professor of Political Science at Concordia University. He specializes in the study of immigrant integration and attitudes toward immigration and ethnocultural and religious diversity. In addition, Professor Bilodeau is a co-investigator on the Canadian Network for Research on Terrorism, Security & Society, a SSHRC-funded partnership grant, and the winner of a 2016 Concordia University Research Award. In the past two decades, anti-immigration rhetoric and anti-immigrant sentiments have become more prominent in Western democracies. Quebec is no exception to these dynamics. Anti-immigration groups such as PEGIDA Quebec, the Soldiers of Odin, The Northern Guard, Atalante, La Meute and Storm Alliance have recently emerged, and their actions have gained visibility. In a context of increased presence of active anti-immigration groups, how can we explain individuals adoption of strong anti-immigration views, and their subsequent implication in groups inspired by such views? This research attempts to answer this question by conducting interviews with members of anti-immigration groups in Quebec. The conduct of interviews will allow to, not only describe, but contextualize and explain individuals path to anti-immigration views. Clayton is interested in topics related to visible minorities' electoral behaviour in Canada and identity; specifically,he is particularly focused on immigrant integration into sub-state nationalist communities such as Quebec and Scotland as examined through partisan preferences and identity issues. Journal: Reports for Elections Canada and the Quebec Metropolis Centre. Le vote obligatoire exerce-t-il un effet de socialisation politique? The New Immigrant Voter 1965-2004: The Emergence of a New Liberal Partisan? Immigrants and Protest Politics in Canada and Australia: Overcoming Memories of Political Repression?